Mark Zuckerberg has a major social media management problem on his hands. The use of Facebook users’ data by Cambridge Analytica to help boost the candidacy of Donald Trump has sparked a powerful backlash that could upend social media management. 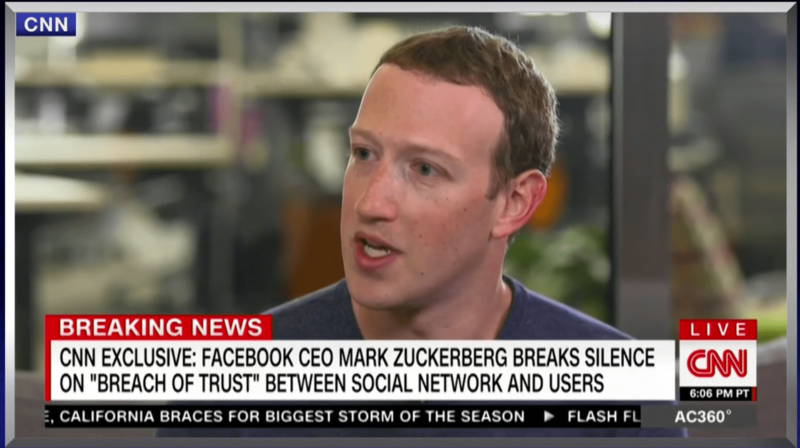 “This was a major breach of trust and I’m really sorry that this happened,” Facebook CEO Mark Zuckerberg told CNN. But Sorry may not be enough to dispel Zuckerberg’s social media management nightmare. The Cambridge Analytica affair has opened Facebook up to an avalanche of criticism from users debating whether to delete their profiles to pundits arguing that the company’s entire business model is a blight. In short, the outrage now directed at Facebook feels disproportionate to the company’s culpability in this specific episode. But that doesn’t mean people are wrong to be outraged. For Facebook, the larger scandal here is not what shadowy misdeeds it allowed Cambridge Analytica to do. It’s what Facebook allowed anyone to do, in plain sight—and, more broadly, it’s the data-fueled online business model that Facebook helped to pioneer. Facebook is the cornerstone for a dizzying array of other apps. “You could find yourself having to laboriously create new accounts for any number of apps that you’ve been logging in to all this time using Facebook — anything from Spotify to Airbnb to Patreon, ride-hailing services, online retailers, and more. Not only is this obnoxious, but you could also lose access to important content and information,” Romano writes. Facebook is often part of the job. “The assumption that everyone is already on Facebook marginalizes anyone who’s not on Facebook, making it harder for anyone not using the platform to access the same degree of communication and information sharing,” according to Romano.